Central News were in attendance for most of the event, the programme aired later that evening. 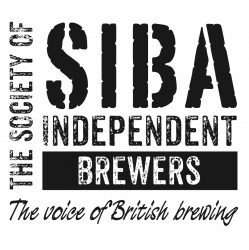 The Society of Independent Brewers (SIBA) is extending its presence at the Great British Beer Festival this year with a re-sited, more prominent bar and sponsorship of all the tutored tastings. The SIBA Bar features eight winning beers from its own National Beer Competition, announced arlier this year. As the ultimate winners of a series of regional tastings involving thousands of beers, the brews that finally make it onto the SIBA Bar not only represent the best of British brewing, but also showcase a variety of styles from different parts of the country. Its relocation to a more central site will make it an even busier attraction this year. The tutored tastings are one of the most popular elements of the Great British Beer Festival, delivered by some of the best-known names in the industry. Roger Protz’s guide to the Champion Beers of Britain will be dominated by beers brewed by SIBA members. The local brewing sector is currently one of the ‘bright spots’ in the UK’s beer market. Total volume sales of local beers through pubs who bought from SIBA’s Direct Delivery Scheme (DDS) are up by 12% this year, with an average increase in volume per pub of 5.8% (DDS figures, MAT to June 2009). And, as consumer interest in food and drink with natural ingredients, genuine provenance and low food miles shows no signs of waning, the future for Britain’s local brewers looks promising.